"The best kept secret in the Catskills"
We are closed for the season. We hope that next winter will be a better one for snow coverage. Have a great spring and summer. See you next ski season. Please check back for updates. Please check our ski conditions or email us for more information. Think Snow! 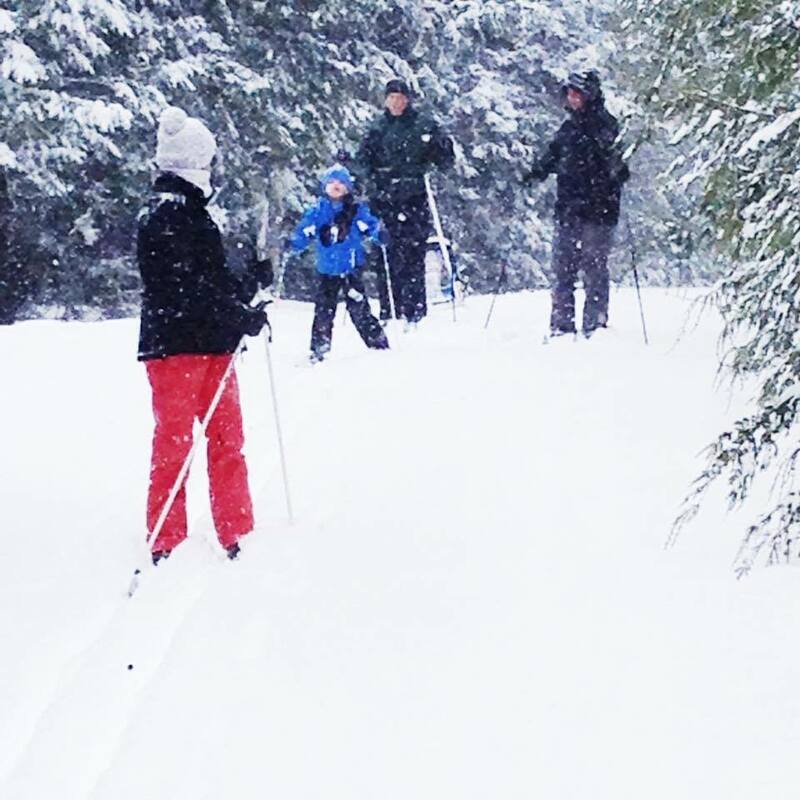 Ski or snowshoe with us and explore one of the Catskill Mountain's most beautiful winter wonderlands. Catch a glimpse of timid woodland creatures on hemlock shaded-trails in the pine-scented forest. Mountain Trails Cross Country Ski Center is nestled on the northern border of Tannersville, NY, located in the beautiful Northern Catskills. Once frequented by loggers and trappers, Tannersville drew its name from the many tanneries that once flourished the area. Keeping with the belief that natural resources are one of our greatest assets, Mountain Trails is environmentally compatible with the Catskill Mountains. Lodging is available at nearby Bed and Breakfasts, cozy Country Inns, and Hotels. The area has many fine restaurants and activites so you're sure to enjoy your stay while skiing at Mountain Trails Cross Country Ski Center. Our lodge & snack bar, sales and rental shop are open weekends and holiday weeks conditions permitting from 9:00AM to 4:30PM. Enjoy your visit at mtntrails.com! Mountain Trails is easy to get to, located just 2 hours north of New York City and 1 hour south of Albany. Need tickets, rentals or ski conditions?